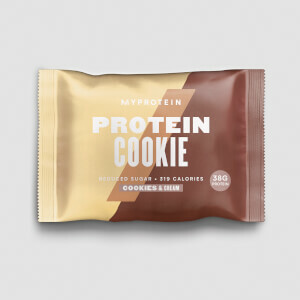 I am a devoted MyProtein customer, with these cookies being my absolute favourite purchase. During those moments, whilst enduring a soul destroying workout, in which I just want to stop living, I think of the cookies. The taste. Complete euphoria, what a reward. 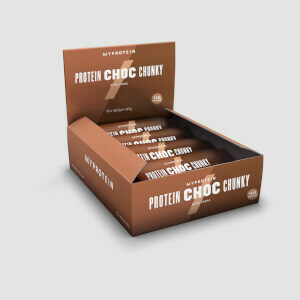 However, one dismal rainy Tuesday, upon my monthly shop on MyProtein, I discover pain and turmoil. The greatest creation, the mint chocolate protein cookie, was taken from me. My baby. This saddened me, but I adopted another baby; a white chocolate almond protein cookie. Although I have never felt complete, this adoption gave me the strength to carry on. 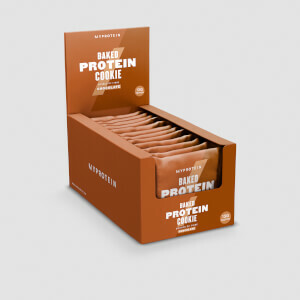 However, on a another dismal rainy Tuesday, upon my monthly shop on MyProtein, further pain and turmoil was sent my way upon discovering the second greatest creation, the white chocolate almond protein cookie, was taken from me. You took my babies away from me. Living is a daily struggle, working out is not the same without seeing my babies at the end of a grueling workout. I have stopped pushing myself, no longer do I squat, just walk on the treadmill and gaze at the vending machine. I have adopted another baby, a double chocolate protein cookie. I do not, I cannot, give the love this baby deserves, knowing it will be taken from my arms. Please, bring back my babies. Give my life a purpose again. Got double chocolate, couldn't finish one. Just not very appetising. Bitter, leaves a taste behind. Maybe try Chocolate Orange, since I feel the orange might disguise the taste better. Never had these before but definately will be buying more. Going to check out the double choc and choc and orange next, but the white choc and almond was good. The white choc and almond does have a strong marzipan taste that can be a bit sickly sweet to some (personally I love that) and like most high protein based products can be quite dense/heavy, but I take my time, enjoy and wash down with a can of ice cold diet coke. Feels like a post workout treat rather than a timely protein fix. These are great to throw in a high protein top up when there is no shake or chicken breast as an option or just can't be bothered. Ok well I have tried two flavours (white almond/double choc) now and ill continue to order the WHITE ALMOND flavour. We all know these types of items are not going to taste like a freshly baked cookie however, the WHITE ALMOND are similar to marzipan. If you like marzipan you should love these. Great mid morning/afternoon snack containing a decent amount of protein a must for anyone who likes a snack throughout the day. And again Myprotein continues to deliver an excellent service in a timely fashion and above all at a reasonable cost to the consumer. Just great on its own. 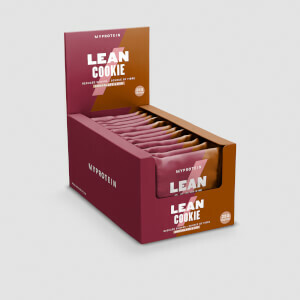 If you're hungry and short of time but don't want to gain weight, these are one of the better options. Tastes like chewy chocolate and so filling too.